Following the first two launches of the campaign FRONTEXITin Nouakchott (Mauritiania) and Brussels (Belgium; pictures action bellow) on 20 March 2013, the World Social Forum – WSF – hosts this Thursday, March 28 in Tunis, the third launch of the campaign supported by many organisations of human rights defense of the North and South of the Mediterranean.These organisations are calling on FRONTEX, the EU border agency, to be transparent and accountable in its management of Europe’s external borders. Most importantly, they demand that the rights of migrants are respected at the borders. In order to deal with an imaginary “invasion”, the European Union (EU) has invested millions of Euros in creating a “quasi-military” agency to counter it : FRONTEX. This agency is involved in the interception of migrants at the borders and the removal of migrants by air. It embodies an increasingly securitarian approach by EU Member States and raises many concerns about human rights violations during interception and forced return operations : what is really happening at the borders ? Who is responsible for these violations ? The opaque nature of FRONTEX’s air, sea, and land operations, and the dilution of responsibilties [?] contradict the basic principles which apply to the EU, its Member States and third countries partners of the agency. 1. During these operations, migrants’ rights are jeopardised, especially the right to seek asylum, the right to be treated with dignity, and the respect for physical integrity right. The launch of the FRONTEXIT campaign, marks the beginning of an international movement calling for FRONTEX, the EU, its Member States and their third country partners to be held accountable for their actions. Impunity at the borders must stop and the EU must abide by its human rights commitments and obligations towards all migrants, wherever they come from and for whatever reasons they come to Europe. 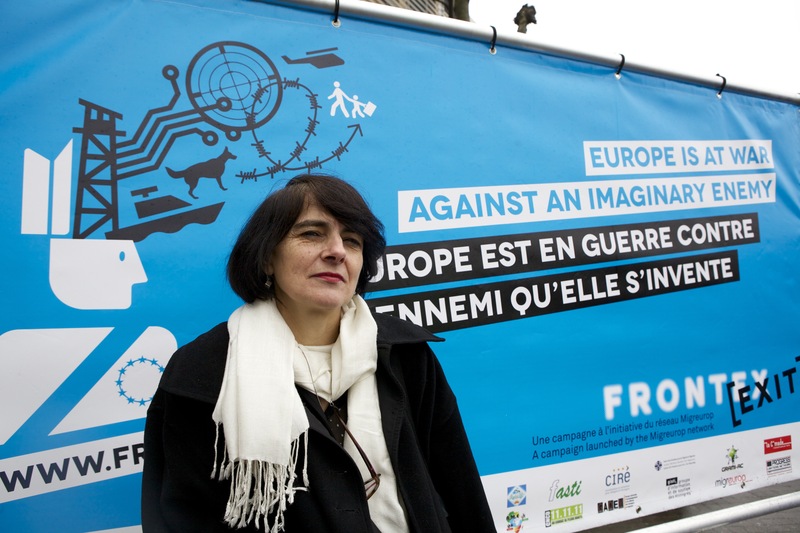 A campaign initiated by Migreurop and conducted by many organisations from the north and the south of the Mediterranean to demand transparency on FRONTEX and the respect of migrants’ rights at the borders. Next launch on the 28/03/2013 in Tunis (Tunisia) during the World Social Forum, from 1.00 pm -03.30 pm, room C, zone B.
Website, teaser, awareness-raising toolking, flyers, poster….